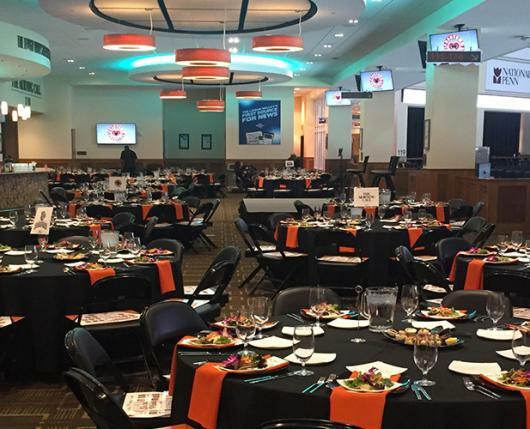 The PPL Center is a world-classfacility that can host any type of corporate event ranging from business dinners and presentations to private parties and client meetings. All of our meeting spaces offer state-of-the-art technology in a private and comfortable setting, making PPL Centerthe perfect location for your next meeting or event. Spectra Food Services & Hospitality provides award-winningcatering that will meet and exceed the needs of any group. 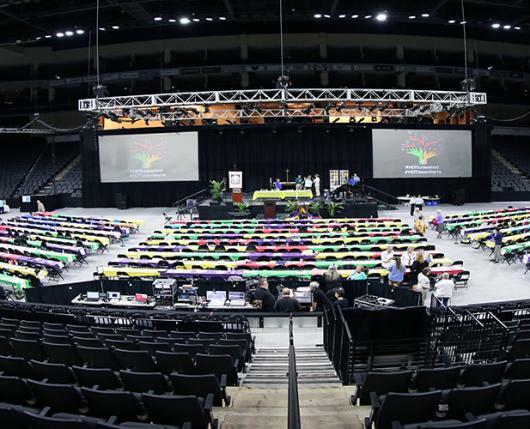 The Arena Floor offers impressive presentation capabilities accompanied by a unique atmosphere for your next event. Special flooring protects the ice surface and allows for a memorable setting for conferences, galas, ceremonies, weddings, and more. All events are custom-designed with you in mind and can accommodate all elements of creativity with convenient loading space. A truly unique and versatile space, the BSI Party Suiteoffers an intimate setting for up to 49 guests. Located on the ice level directly outside the Lehigh Valley Phantoms locker room, this unique space is perfect for presentations, corporate meetings, and more. 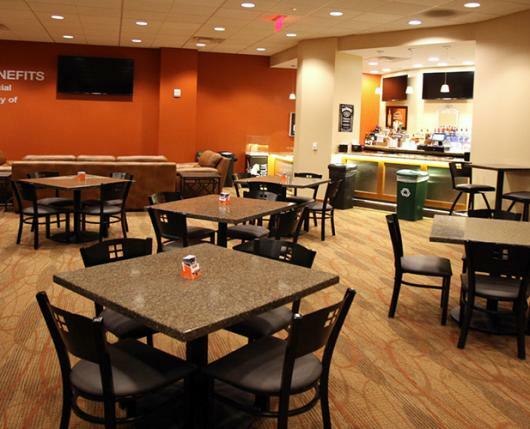 Located on the main concourse behind the exclusive club section at PPL Center, The Morning Call Club boasts a panoramic view of the arena and is ideal for hosting corporate functions receptions, and more. This contemporary space is intimate yet spacious, featuring high-top granite tables or banquet rounds to best meet your needs and a full-service bar. The Morning Call Club is sure to make your next event a memorable one. For more information about booking and rentals, click here.